The purpose of this policy is to set out NIGHT WATCH SECURITY SERVICES LTD policy and procedures to prevent, manage and respond to work-related violence. Management supports this policy and we will not tolerate any instances of work-related violence, including verbal abuse, to our staff. No member of staff will be blamed for an instance of work-related violence caused by a customer or member of the public. All employees have the right to be treated with consideration, dignity and respect. NIGHT WATCH SECURITY SERVICES LTD define work-related violence as: any incident in which an employee is abused, threatened or assaulted by a member of the public in circumstances arising out of the course of his/her employment. This is based on the Health and Safety Executive’s definition. Treat any reports of work-related violence, threats or abuse seriously and respond to them promptly. Respond and consider seriously any suggestions made by staff about how to improve violence prevention and management, and give feedback to staff about their suggestions, including whether it will be taken forward and if not, why not. Set a positive example by reporting all incidents of violence and abuse and not tolerating abusive behavior from customers and members of the public. Make sure you also offer good customer service and follow specific policies. Respond to and, where possible, resolve incidents, ideally before they escalate. Monitor incidences of violence and abuse and initiate appropriate action if more measures are needed. Review and amend this policy and the risk assessment as necessary. Where possible, direct staff to appropriate support and advice after an incident has occurred. Encourage other staff members to support their colleagues, including those that might have witnessed the incident. If victims are particularly traumatised by the event, provide support where possible, such as time off work or changes to their tasks. If an investigation is needed, work with the police and offer any assistance needed to help in their enquiries. Managers have a responsibility to act in a way that does not incite or increase the likelihood of violence. Any manager found to be encouraging or inciting violence or not resolving potentially violent or abusive situations may be subject to disciplinary action.  Be aware of NIGHT WATCH SECURITY SERVICES LTD’s policy and comply with it, including specific policies on aspects such as the sale of alcohol or excluding customers. Offer good customer service and be aware of customer needs. Recognise the potential for work-related violence and take action to resolve it early on. Staff should take positive action and, for example, contact a manager if they think a customer or member of the public might cause problems. Don’t accept instances of work-related violence directed towards you or others. Staff should report any instances of violence, threats or abuse, including any details about when it happened, who was involved and any relevant circumstances that may have contributed to the incident. Serious incidents should be reported in the incident book kept in the manager’s office but minor incidents and incidents of verbal abuse should be reported to managers as they occur. Be supportive of colleagues who are victims or witnessed work-related violence. Suggest additional measures to managers which might help to prevent and manage work-related violence. Staff have a responsibility to act in a way that does not incite or increase the likelihood of violence. Any staff member found to be encouraging or inciting violence may be subject to disciplinary action. Staff and managers should also work with trade unions, where relevant, in preventing, addressing, reporting and responding to incidents or work-related violence. The risk assessments for work-related violence are kept ( ). every year, unless an increase in the number of incidents suggests the assessment should be reviewed more frequently. All staff, including new staff, should receive awareness training on work-related violence, our policy and procedures, how to prevent work-related violence, reporting procedures and what to do following an incident. This may be through formal training or a briefing from managers, depending on the risk potential for the staff members. Managers will be trained as above, as well as on how to handle complaints and trouble among customers effectively. Door staff have been trained by their own company on how to exclude or remove individuals from the premises and will be Security Industry Authority (SIA) registered and trained. They have also been inducted in relation to our own premises. If a staff member is being abused, threatened or attacked, they should approach their manager or a colleague for help. Managers should respond to the situation by talking to the perpetrator, explaining that their behavior is not acceptable. They should try to resolve the problem and, if that is not possible, call security for assistance. Security will remove the person where required.